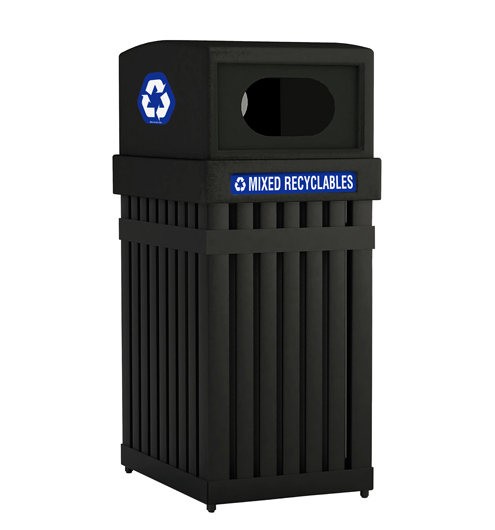 This 25 gallon steel receptacle can be used for trash or recycling and features a double sided lid for easy access. 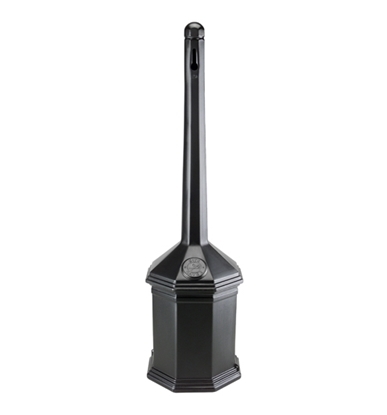 Includes lid cable for security and a black powder coated liner with built in handles. Includes a set of decals to convert this trash can into a recycling can! 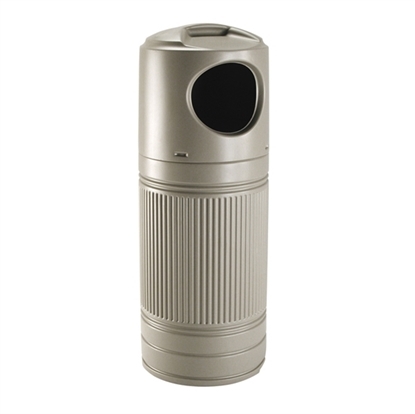 Features ¾” feet that add stability and help prevent the unit from being damaged. 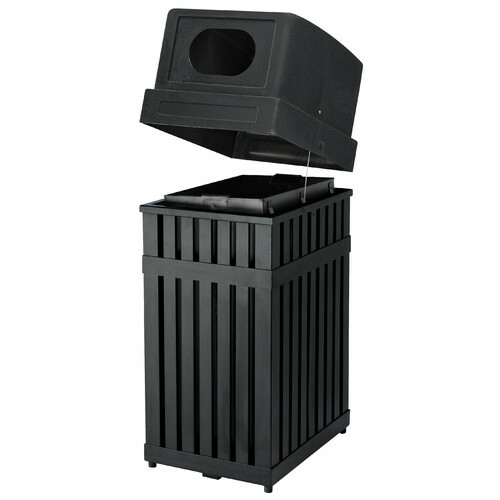 This trash can meets ADA requirements for wheelchair access.